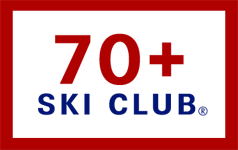 Free (Or Almost Free) Skiing Directory, Skis For Seniors Recommendations, Chile Wrap, Trail Name Series, Ski History Gala, Skiing In Skirts. 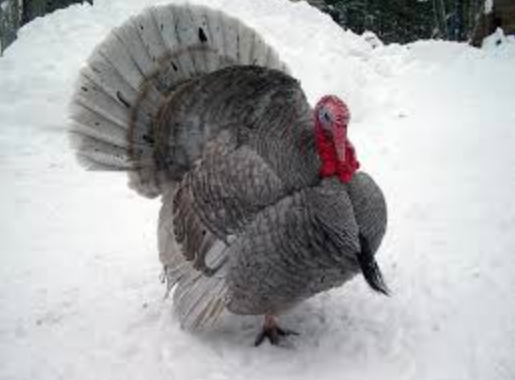 Happy Thanksgiving On The Snow! For the first time in recent memory, there are plenty of lifts spinning in New England areas and in Colorado and other places in the West. The recent East Coast Nor’easter brought a snow covering and this week’s persistent precipitation has raised the snow level up to the top of boots in many areas. Fingers crossed this is a harbinger of a long, cold season. By the way, that is counter to the official El Nino-fused forecast for warm and wet here in the North East. Last week, we published an update to our listing of resorts where the US and Canada where seniors can ski for free or almost free. We believe this is the only listing of its kind in the ski world. You can access this list by clicking on the third menu box from the left under the blue ribbon at the top of the page. 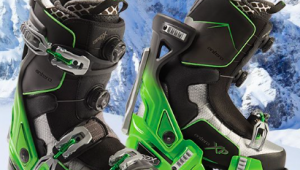 We also published our list of ski recommendations for seniors which we compiled with the help Realskier.com, a long-time and respected reviewer of and commentator on skis and ski design. You can find this listing on the second menu from the left, next to the free (or almost ski list) list. You may be asked to re-enter your name and email address to access these resources. There is no charge for any of these assets. We’re presenting them to the SeniorsSkiing.com community of readers to give you more specifically tailored resources for senior. 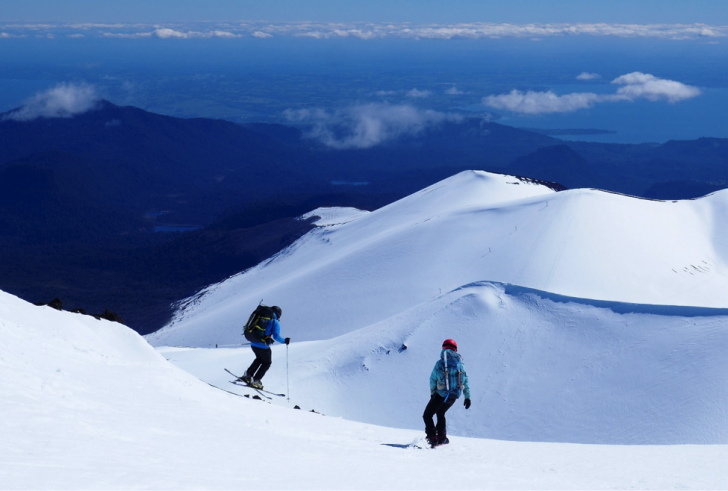 Casey Earle reports on the ski season in Chile, sharing some good news-bad news. Despite a shortage of snow, there were some great days and he took advantage of them. If you haven’t even seen pictures of South American skiing, his article is a good introduction. We’ve also included a link to more comments on Casey’s Ski Chile page on Teton Gravity Research. We continue Don Burch’s trail name series with a swing through Michigan’s many resorts. Also Harriet Wallis reports on the University of Utah’s Ski Archives Gala where awards were handed out to Olympic visionary Harold Peterson and the US Forest Service and the Utah Avalanche Center, a team which has played a major role in controlling errant snow flows in the state. 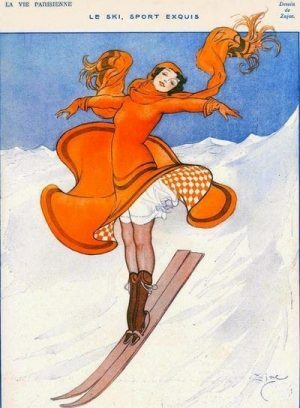 Finally, our Mystery Glimpse looks at a pair of young ladies skiing in skirts more than a hundred years ago. We report on what the significance of that big brass bell was from last week’s puzzle. Thanks for reading SeniorsSkiing.com. Tell your friends, and remember, there are more of us everyday and we aren’t going away.